As time has elapsed and the nature of tick-bourne illness has evolved, it has become increasingly clear to those with open eyes that lyme disease spans far beyond just the bite of a tick. Chronic lyme disease has become a silent rising epidemic, one that is under-researched and under-diagnosed, but contrarily widely contracted and devastatingly crippling. The disease is multifaceted and complex, and requires a treating physician to look beyond bacteria and assess the many layers of illness and imbalance that an afflicted patient may possess. It is a handful of wise, dedicated and attentive physicians that give patients suffering from this complex neuroimmune chronic illness hope, with their research, their willingness to listen, and their ability to comprehensively treat each patient as a unique individual. I recently had the opportunity to speak with one of them, neurosurgeon and neuroscientist Dr. Pamela Costello. Not only is Dr. Costello a doctor, but she is a healer. experience and research in neurological illness with the use of allopathic and holistic modalities to heal her patients struggling with chronic neuroimmune and infectious illness. She doesn’t merely treat symptoms or an aspect of a disease, but instead integratively and comprehensively heals the root of it. She took the time to share with us the ways in which she accomplishes this, including the vital role that Byron White Formulas play in her practice. I have been in practice since 2000, but was working with incorporating integrative medicine and neuroscience into my medical practice during my residency and post-doctoral training from 1989 through the present. At what point in your career did you recognize tick-borne disease as a potential contributor to neuroimmune-based illness and chronic health issues? My PhD was in developmental neuroscience and the prenatal influences of the immune system on the developing brain. I did an extensive undergraduate scholarship program as well in tropical medicine, so my interest in infectious disease goes back to the early 80’s. In 1993, while doing my graduate research, I became further tuned in to the issue [lyme disease] during my post-doctoral studies on Alzheimer’s brains. Truly fascinating. Earlier in your career, when you were studying prenatal influences on the development of the brain and the immune system, what kind of role did you discover that infection and environmental toxicity played in neurological and immune dysfunction? In my research, I studied the interface between the developing nervous system and the immune system, in that they shared common markers. When the immune system was infected or imbalanced, those markers were often missing or altered, leaving the developing nervous system in disarray. Chronic infection, with lyme particularly, disables subsets of the T cells of the immune system, making normal surveillance of the brain and spine altered, so they are far more vulnerable to chronic infections being established, suppressing normal brain function. When in utero, the brain does not develop normally. At what point in your career did you become interested in treating these issues holistically? I’m interested to hear what influenced your choice to move from the use of pharmaceutical-based “conventional” medicine to treating with natural and alternative modalities. In medical school, residency, and on into my private practice, I’ve always been plagued by the limited scope and high side effect or toxic profile of allopathic medications. I’ve struggled with following AMA guidelines and to following the “standard of care” while working in the hospital, thus I often agreed to prescribe only those medications that I could clearly reason were on the low end of toxicity and high end of therapeutic yield. As for managing my out patients (I.e., clinic or office patients), I’ve intuitively avoided the corruptions of the pharmaceutical industry. I didn’t have to play ball with them with my outpatients, so I didn’t. I was always repulsed by the representative transparent attempts to incur favor with the doctors in exchange for their selective prescribing of that particular pharmaceutical company’s products. Managing my hospitalized patients was more difficult in that standard prescription medications were often all I had available to treat the patient. The increasing tide of multiply resistant organisms and worsening side effect profiles of the ever increasingly powerful antibiotics, in conjunction with the increasingly toxic disease states, actually became both eye opening and quite disturbing. I started officially working with alternative medicine in 1989, including using IV Vitamin C infusions during all of my surgeries. I was naturally drawn to leaders in the integrative field such as Andrew Weil, MD, and Dr. Deepok Chopra, whom I met in the early 1990’s. At that time, I studied alternative therapies primarily on my own, referencing these pioneers and others (Dr. Linus Pauling was amongst them), until I found Dr. Thomas Rau of the Paracelsus Institute in 2004. I underwent a rigorous 4 years of training with him, including an internship at his clinic in Switzerland, completing my degree in Biological Medicine. I would say, then, that it has been an ‘evolution’ toward a fully integrative practice. I have a wide variety of patients who seek my care, as I offer comprehensive care as a neurosurgeon, neuroscientist (treating all adult and pediatric neurologic conditions), but I also sub specialize in infections and neurotoxins that attack the nervous system. This covers a large group of the population in this era of such potent organisms, with our rather toxic, genetically altered food supply, and with a water and air source that is rife with neurotoxins and lacking in any vital energy. I know that Byron White Formulas play a significant role in your practice and in the treatment of your patients. How long have you been using the formulas? I became aware of Dr. White and his products while completing an ILADS sponsored fellowship in advanced Lyme Disease diagnosis and care with Dr. Steve Harris in Redwood City, CA early last year. I was so intrigued by Dr. White and his non drug line of products, in conjunction with being so disenchanted with the standard antibiotic approach, that I immediately converted to exclusive use of non drug therapy, using his product line. My partner, Dr. Bill Wolfe, is a renowned mercury free biological dentist and naturopath, and also produces energized detox and dental products. His products, as well as Dr. White’s formulas, are the only two product lines I carry and prescribe, other than my standard IV supplements (Vitamin C, etc.). 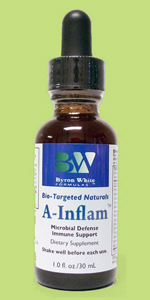 I use Byron White Formulas almost exclusively to treat my patients, including his A-Inflam for standard inflammatory conditions, as well as his detoxifying line of remedies and his sophisticated line of lyme related remedies. Envi-Rad and A-Inflam are probably my two most utilized agents. Detoxifying the nervous system, while balancing immune function lends to a rather rapid response in improving or correcting neuroimmunologic dysfunction and disease states. The fact that you use Byron White Formulas almost exclusively (alongside necessary IV nutrient therapy and energized detox remedies) to comprehensively treat patients speaks volumes about the efficacy of the formulas. You mentioned that the formulas you incorporate most often into patients’ protocols are A-Inflam and Envi-Rad. What do you feel indicates the need for these two products and what types of beneficial shifts do they facilitate? Envi-Rad clears the microcirculation of the brain and body, which is an important starting point, as everyone on this planet daily interfaces with pesticides, plastics, jet fuels, EMR, radiation, etc. Whatever their neurologic issue, this clears the superficial clogging energetic and environmental detritus. The formula also greatly elevates patients’ energy, allowing them to better handle the next phases of their treatment. As for A-Inflam, it’s a good immunologic toning agent for over and under active immune systems, as well as a good starting point for patients with brain and/or joint inflammation. The deeper issues of lyme or mercury toxicity will often manifest or declare themselves after starting these two formulas, so they guide the next layer of treatment. Why do you personally believe that Byron White Formulas hold such potent healing potential? Through his genius, his years of hard work and compassionate and his attentive patient care, Dr. White has well defined the requirements of effective and safe treatment of modern maladies. He has done so through a homeopathic and herbal approach, as well as by incorporating the very essential component of energetics into his formulas, making his products unmatched in today’s commercially available product market. This level of healing is indeed incredibly rare, and indisputably powerful. It holds such promise and hope for those chronically suffering. “Stories of Hope” are actually quite exceptional gems amidst the chronically ill community. Could you share a few stories in which Byron White Formulas played a role in a patient’s recovery? Every patient who uses his products affirms for me his wisdom, compassion, and effectiveness in antidoting today’s diseases or imbalances in their testimonies of their often immediate and safe response to his products. Whether it’s clearing brain fog or reversing signs of advanced neurologic degenerative disease, my patents have all had a positive response. While prescribed Byron White Formulas, do you find that some patients experience herxheimer reactions or a neurotoxin-induced exacerbation of symptoms as chronic infection is addressed? If so, how do you ease these reactions? Herx reactions occur if a patient is not guided carefully. This usually becomes an issue when the patient’s drainage status has not been addressed first, or when their bowel status is not optimal. Intestinal dysbiosis makes clearing Lyme very difficult. Heavy metal toxicity is also something that is usually overlooked, as well as diet and food allergies. Herx reactions are usually due to short sightedness with these issues. When they are addressed, herxes subside. It’s so true; it is essential to look at a patient’s whole picture rather than just a piece of their health puzzle. Infection is just one component. Do Byron White Formulas help you to achieve this caliber of holistic and comprehensive treatment with patients? Yes. Holistic medical care is mandatatory in my opinion, if one expects to truly heal any patient. This thereby necessitates considering the ‘whole picture’ when diagnosing and treating a patient. After many years of intense scientific and allopathic study and patient care, as well as study of and practice with alternative or integrative modalities, my approach necessarily includes the integration of the best of Western and Eastern Medicine. We are complex beings and both illness and wellness are mulitfactorial. True healing is achieved only once all contributing issues have been identified and considered. Dr. Pamela Costello is a rare caliber of physician. It is doctors like Dr. Costello that keep the flame of hope burning for those with chronic illness, and help those suffering to understand the multifaceted nature of striving for wellness. Instead of placing a band-aid over the surface, Dr. Costello delves deeper into the layered imbalance within the body to find and address the root cause of debilitating symptoms. With the help of doctors like Dr. Costello and invaluable tools like Byron White Formulas, patients with complex neuroimmune disease have the ability to piece together the many portions of their health puzzle and rebuild their foundation for strength. MY HUSBAND, OUR 16 YR OLD SON, SPENCER, AND I AM VERY ILL W LYME & CO-INFECTIONS. WHERE ARE YOU LOCATED ?? For Patricia Smith. 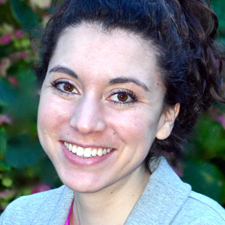 There is an excellent Lyme-literate doctor very near near you – Dr. Leila Zachrison in Fairfax, VA. She is a rheumatologist specializing in Lyme and other infectious diseases and uses alternative meds as part of her treatment protocol. Very bright, compassionate person. Do you know of any LLMD in the Marlton, NJ area. I am desperatly trying to help my 23 year old son. I have been getting treated for 4 years in Kansas city by Dr Ryser . She is retiring next month. I will continue bicillian shots weekly elsewhere. Your philosophy was what I am lpoking for on another LLD. Where are you located? My 12 year old daughter was diagnosed with GBS in 2011 and they found 3 bands in her spinal fluid. She was treated with 30 days of IV antibiotic the Lymes never shows in western blot. She had had two relapses they now say she has CIDP and refuse to treat the Lymes nothing is working she can’t feel feet or hands we live in Jupiter Florida. I am desperate to find the proper care. I live in Tucson, AZ and I’ve been sick for over six months. I have reason to believe I could have Lyme and I am having trouble finding a Lyme literate physician here. Can you help? had an great doctor but he passed away… I am all alone, and having a terrible time with lyme. have had it for over 20 years, I have been rebit at least 3 times and never got over the first session… but was able to function.. now I really need some asistance…. Candice is a 20-something Californian who loves words, photographs, board games, and a good episode of Grey's Anatomy. Typical, right? Well, unfortunately, her life is less than "typical" these days, due to her ongoing battle with late stage lyme disease and all that it entails. 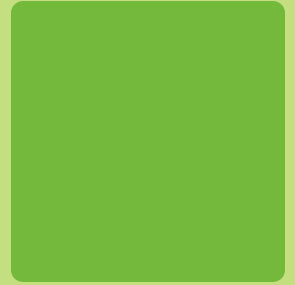 Her blog Infectious Optimism chronicles her journey with Late Stage Lyme, Dysautonomia, Chemical Sensitivity, and the rest of the trimmings. Lyme disease may be infectious, but so is optimism, and we all need a little optimism to get by. Please note: This content is not intended to replace conventional western medical treatment. Any suggestions made are not intended to diagnose, treat, cure or prevent any disease, condition or symptom. Please consult a qualified practitioner for a health care plan tailored to your individual needs. All material in this column is provided for general information purposes only and should not be considered medical advice or consultation. Always check with your personal physician when you have a question pertaining to your health and healthcare.